In a climate rife with pharmaceutical anti-anxiety drugs and antidepressants, many are turning to natural alternatives to alleviate nagging ailments. One herb used to treat these conditions, as well as improve concentration and energy levels, is Rhodiola rosea (x). Also known as golden root or rose root, this Arctic plant has aided mental health issues for centuries. It not only helps to alleviate symptoms of depression and anxiety, but it also assists in combating fatigue and difficulty with concentration (x). Moreover, Rhodiola rosea carries benefits for weight training and cardiovascular health (x). With a unique ability to assist in muscle repair and antioxidant distribution, this herb can also improve stamina and strength. And, of course, it can be taken as a daily supplement to aid in this gamut of health benefits (x). This herb is available in concentrated powders that easily dissolve in drinks. Whether you use the salidroside blend for enhanced energy or the rosovin blend to help elevate your mood, this tincture can provide a myriad of benefits with minimal side effects. One property of Rhodiola rosea that contributes to its efficacy is its naturally occurring compounds of rosovin and salidroside (x). This is the only plant in its genus to produce this combination. Rosovin is a phenylpropanoid while salidroside is a phenylethanol derivative (x). The synthesis of these organic ingredients is what makes Rhodiola rosea work its magic. With the sweet spot of a 3:1 ratio of these compounds, the stimulating and sedative qualities of Rhodiola are created. While both substances coexist within the flower, salidroside and rosavin are each extracted and geared to specific purposes. Rhodiola rosea salidroside is an ideal balance for promoting better energy levels and improved muscle repair. When taken daily at lower doses, or even right before exercising, this powder helps to increase energy and minimize fatigue. For those needing an elevation in their mood and relief from anxiety symptoms, Rhodiola rosea rosovin can assist with this. With a higher concentration, this powder provides the benefit of lowering cortisol levels. This reduces the stress response and generates a calming effect. With a number of benefits ranging from alleviation of depression and increased energy levels, Rhodiola rosea provides many of the same effects as most common pharmaceuticals (x). 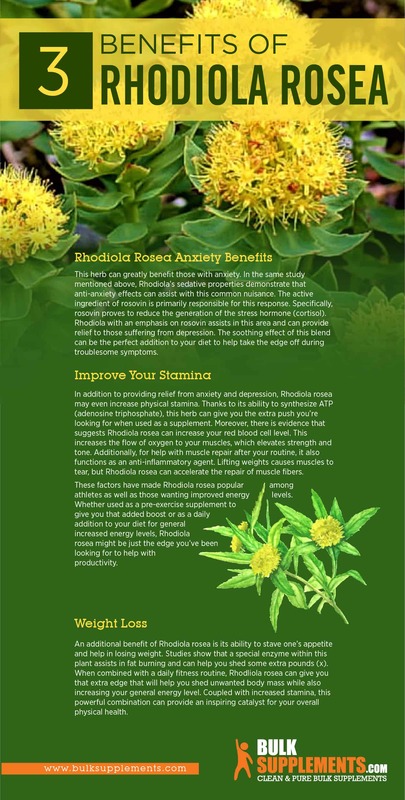 When taken at lower doses, the stimulating effect of Rhodiola is most effective. These doses, when combined with an elevated level of salidroside, offer a boost in energy and concentration. What’s more, general cognitive function and problem solving have been shown to increase as well. That means that as Rhodiola rosea calms one’s nerves, it also increases concentration. This herb can greatly benefit those with anxiety. In the same study mentioned above, Rhodiola’s sedative properties demonstrate that anti-anxiety effects can assist with this common nuisance. The active ingredient of rosovin is primarily responsible for this response. Specifically, rosovin proves to reduce the generation of the stress hormone (cortisol). Rhodiola with an emphasis on rosovin assists in this area and can provide relief to those suffering from depression. The soothing effect of this blend can be the perfect addition to your diet to help alleviate troubling symptoms. In addition to providing relief from anxiety and depression, Rhodiola rosea may even increase physical stamina (x). Thanks to its ability to synthesize ATP (adenosine triphosphate), this herb can give you the extra push you’re looking for when used as a supplement. In fact, there is evidence that suggests Rhodiola rosea can increase your red blood cell level. This increases the flow of oxygen to your muscles, which elevates strength and tone. Additionally, for help with muscle repair after your routine, it also functions as an anti-inflammatory agent. Lifting weights causes muscles to tear, but Rhodiola rosea can accelerate the repair of those muscle fibers. These factors have made Rhodiola rosea popular among athletes as well as those wanting improved energy levels. Whether used as a pre-exercise supplement to give you that added boost or as a daily addition to your diet for general increased energy levels, Rhodiola rosea might be just what you’ve been looking for to help with productivity. An additional benefit of Rhodiola rosea is its ability to control one’s appetite. Studies show that a special enzyme within this plant assists in fat burning and can help you shed some extra pounds (x). When combined with a daily fitness routine, Rhodliola rosea can give you that extra edge that will help you shed unwanted body mass while also increasing your general energy level. Coupled with increased stamina, this powerful combination can provide an inspiring catalyst for your overall physical health. There have never been any reported major side effects while using this supplement. However, during recorded clinical trials, there have been cases of some minor side effects that you should consider. This herb does produce minor levels of toxicity. However, the levels are so minute that the average dosage levels would never pose a problem while used daily. Other possible side effects that can occur with Rhodiola rosea include dizziness, dry mouth and excessive salivation. These are more of a nuisance than anything else. 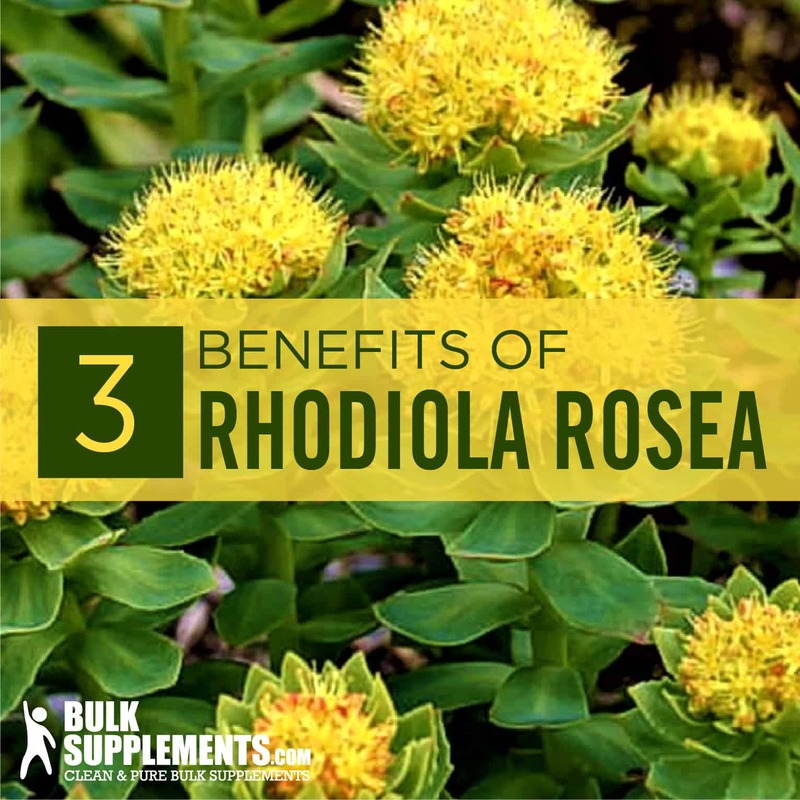 However, watch for the onset of any of these side effects while beginning your Rhodiola rosea supplementation to make sure things are running smoothly (x). In very few reported cases, there have been side effects of minor allergic reactions as well as lowered blood sugar levels. Though these are not immediate causes for alarm, if this is a concern for you, consult with a physician before continuing the use of this supplement. While Rhodiola rosea as a whole offers all the potential benefits mentioned above, there are optimized preparations that assist in administering the desired effects. Two specific blends may help to emphasize different aspects of this herb that you might want to take advantage of. As a rule, the lower doses of Rhodiola rosea tend to provide an elevation in energy. The higher doses, on the other hand, tend to assist with a sedative and relaxing reaction. There are two versions of Rhodiola in powder form. Both are easy to include in any liquid and serve as a reliable daily supplement for optimal benefit. Below is a short description of each supplement and the particular benefits that can be derived from the respective tinctures. While utilization of either version of Rhodiola rosea can provide you with energy and stamina, it is best to choose from either the salidroside or rosovin blend for ideal results. With a powerful 3-percent salidroside tincture, this blend of Rhodiola helps with your energy levels and athletic endurance. Also working to elevate your mood, this supplement can lift your spirits and keep you motivated. 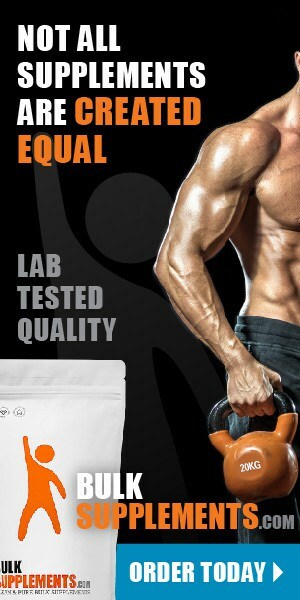 For those using this supplement for daily training, this mixture also aids in muscle repair and rejuvenation. Whether you consume it before or after a workout, the Rhodiola rosea solidroside powder provides obvious benefits. Furthermore, this salidroside powder has the proven ability to help burn fat. That makes it an ideal choice for a pre-exercise supplement to get the most out of a workout. The suggested serving and timing of Rhodiola rosea 3 percent salidroside is (1/16 tsp) per day. This dosage will provide the optimal results for a great pre-exercise supplement that will help boost energy and rebuild muscles. Further, Rhodiola rosea salidroside is chock-full of flavonoids. These are antioxidant molecules that help to protect cells from damage due to free radicals. Additionally, the salidroside formation of Rhodiola has essential oils and tannins that also help benefit your health (x). This blend of Rhodiola contains 3 percent rosovin powder and primarily helps with anxiety and depression symptoms. Taken daily, this powerful mixer can help uplift negative moods and provide you with revitalized energy levels. The ideal dosage for optimizing the benefits of Rhodiola rosea rosovin is 400 mg once or twice daily. This higher dose has the ability to provide maximized results for mood elevation. Though this blend is prepared specifically for combating depression and anxiety levels, you will also benefit from the other effects listed above. Cognition and concentration can also see a boost with this preparation, as well as memory and the ability to learn and process complex information. Created as a fine powder that easily dissolves in any liquid, this supplement of Rhodiola rosea rosovin serves as an easy ingredient to your favorite drink, providing you with a variety of benefits (x). The potential benefits of Rhodiola rosea, in both forms, are plentiful. A powerful, natural supplement that helps with energy levels, anxiety, stress and depression, Rhodiola rosea is truly a natural wonder. With almost no reported side effects in clinical and animal testing, at least in comparison to modern medications that host a range of side effects, this is an excellent resource for offering profound benefits. Taken once or twice daily, Rhodiola rosea can provide you with many of the rewards you’ve been looking for to give you that extra edge. A little more energy or elevated mood might be just the thing to give you the upper hand on your day. The advantages gained from this Arctic herb can be the perfect pick-me-up for your morning coffee or supplement just before your next trip to the gym. Whichever blend you choose, a range of naturally occurring benefits awaits you that provide healthy and lasting increases to your mood and energy levels. With a host of potential uses and rewards, Rhodiola rosea provides a gamut of benefits that provide an edge up for those on the go. Adopting the myriad of health boosts Rhodiola has to offer is now easier than ever with a simple daily powder. This wonder of the ancient world can now be at your fingertips. Always keep this supplement on hand for a quick energy renewal while on the go, or as a daily strategy for combating and overcoming your mental fatigue and low moods.